Fun Fact: Some people wear adult diapers in NYC on New Year’s Eve to accommodate for the big crowd and lack of available bathrooms. 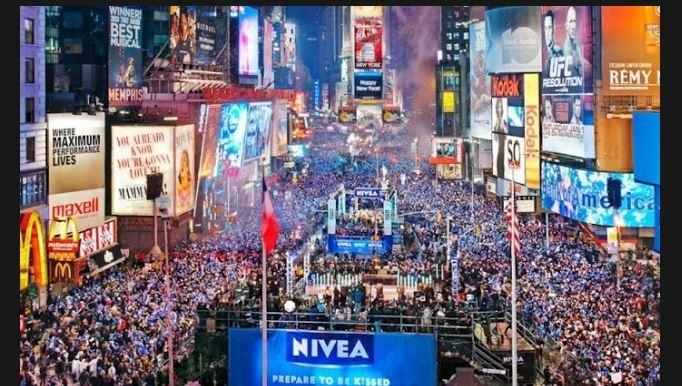 Would you soil yourself for the opportunity to spend NYE in Times Square? Have you done this already?! I’m afraid to know the truth, but the curiosity is killing me. Oh my! NO,NO, and NOOOO! I enjoy a much less crowded living room with close family and friends and the luxury of available bathrooms! Interesting fact indeed though! Thanks for sharing! I wonder if they still do it?? Probably the one time of year Central Park is completely safe at midnight! Have fun tonight tucked at home! I live here in NYC and I have never known any native New Yorker who attended the dropping of the ball affair. This idea of wearing a diaper soiling yourself all day for this final ten seconds of a passing year is the ultimate in idiocy. To each his own. I am the boring type. I will start my 2016 with fresh underwear. By the way, loved this post. Thank you. I think starting the year without a soiled diaper is a good start haha. They really are idiots. 10 seconds isn’t worth it. Yeah, I agree. LOL Some of them arrive at Times Square as early as 11Am just to get a “good spot.” Hey to each his own. I don’t think I’ll be heading down to see the whole thing live any time soon. I really enjoyed watching it on my TV just a few steps away from a fully functioning bathroom. Plus now I get to go to sleep without worrying about streets and trains full of people who have been wearing the same diaper for 12 hours! Ya haha they were literally grinning, yelling it straight to the cameras. Even if I did go down and wear a diaper(ew ew ew), there is no way I would announce it to anyone!! Obviously you are under 65. Haha, gross! I heard the same thing about gamers who are so addicted to their habit they wear them so they don’t have to interrupt their play. Can you imagine?? Okay, that’s a bit far. Especially if they are home and right next to a bathroom. Crazy! Hmmmm … maybe this is a sign we don’t need any more humans on the planet.